Mellissa Simpson started at $8.50 per hour in 2008. When she quit in 2010, she was making $11.40. Sabrina Roberts made $8.50 to start in 2009, and $11.55 when she left in 2010. Were these unskilled poultry handlers underpaid? Better yet, were they underpaid because their wages were artificially suppressed by the alleged hiring of a pool of undocumented immigrant workers? This was the crux of their class action civil RICO argument, one that just got Twombley'd in the Eleventh Circuit. A civil Racketeer Influenced and Corrupt Organizations (RICO) Act claim, pursuant to 18 U.S.C. 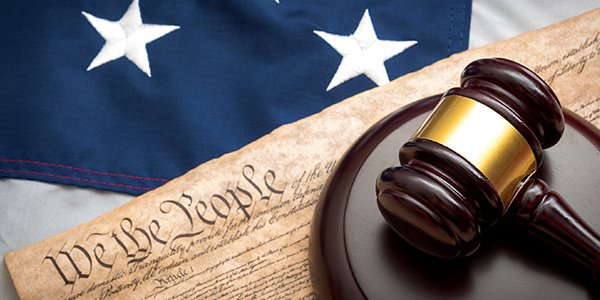 §§ 1961-68, requires the plaintiffs to plead predicate offenses. In their first go-round, the plaintiffs' complaint was tossed without prejudice due to their failure to prove that the pled predicate acts caused their alleged injury. When the plaintiffs re-filed, they used §§ 1546(a) and (b) (making a false statement under oath regarding immigration laws and misuse of identification documents for immigration purposes, respectively) exclusively as predicates, arguing that the plant violated § 1546 repeatedly to hire "likely more than 300" unskilled workers. The district court again dismissed the case, this time with prejudice, for failure to allege sufficient facts to show that the § 1546 violations proximately caused the depressed wages. "The essential problem with the amended complaint is that it offers virtually no real evidence to plausibly suggest either injury or proximate cause. The only wage data even mentioned in the amended complaint show that the plaintiffs actually received increasing wages at the plant. In attempting to plead injury nonetheless, the plaintiffs have presented only a conclusory market model that is stated at a very high order of abstraction." In other words: bare allegations are bull[feces]. It's the basic pleading standard shake-up of 2007 and 2009, the heightened Iqbal and Twombly standard. Bare allegations of fact won't suffice -- you need some facts to show the court that the lawsuit isn't a fishing expedition. Simpson and Roberts outline a plausible market theory. They are paid a suppressed wage because the employer allegedly hires a large pool of undocumented immigrant labor and pays these workers a below-market wage. And the more workers available, especially wage-undercutting workers, the less the company has to pay documented workers. Supply and demand, in other words. It's plausible, but they have no "quantifiable" evidence to support it. And as the court notes, their wages actually went up more than thirty percent each over their short tenure at the plant. (We checked, there wasn't a significant minimum wage hike. [PDF]) An argument of wage suppression is even less tenable when you're getting pay bumps.